Hasn t it gone on long enough the rivalry, the jealousy, the pent-up anger, and the grudges rooted in the past? 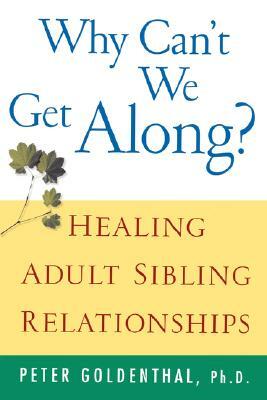 In this book, renowned author and family psychologist Peter Goldenthal offers proven prescriptions for brothers and sisters who want to break through old, destructive patterns and create a richer, more loving, and more rewarding relationship with their adult siblings. Don t let old hurts and destructive behavior patterns overshadow the love you feel for your sibling. Read Why Can t We Get Along? and find the key to establishing warm and loving sibling relationships that will last a lifetime.